Quality work by reliable, licensed & insured professionals. 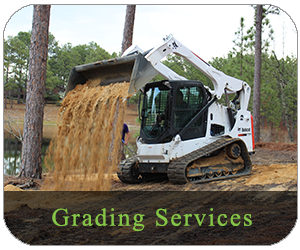 Brooks Hauling, Grading, & Landscaping, LLC are professional landscaping contractors that specialize in land clearing, land grading, material and debris hauling, landscape installation and landscape remodeling in Moore County, North Carolina. 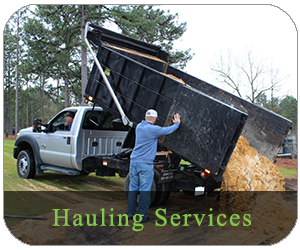 Other services include excavation services, dozer work, water drainage systems, custom retaining walls, and concrete work such as driveways, sidewalks and hardscape features. Quality landscaping shapes a property’s first impression. Make your home or business stand out with first class landscaping by Brooks Hauling, Grading & Landscaping, LLC. 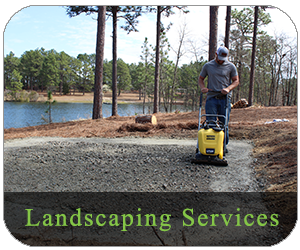 Brooks Hauling, Grading & Landscaping, LLC are full-service, licensed and insured landscape contractors serving Pinehurst NC and surrounding communities of the Sandhills. 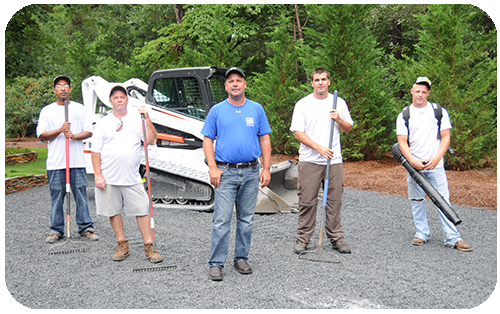 We have more than 30 years of experience in landscape installation and remodeling. Our focus is completing every project precisely and efficiently with minimal disturbance. We don’t believe in the term “go back” — That is why we ensure every project is completed correctly and to 100% customer satisfaction the first time. Every project is treated as if it were our own and held to high standards of workmanship.